Fair, equitable and consistent remuneration, linked to performance, makes perfect business sense. It helps people to feel valued and appreciated, which ultimately serves both our company and our customers. Aegon's Global Remuneration Framework applies to all Aegon employees around the world. In the markets were we compete for employees, salaries and incentive payments are based on the principle of market competitiveness and 'pay for performance'. Employee performance is rewarded through non-financial benefits such as opportunities to work on interesting projects, development opportunities and long-term career growth. In some instances, performance is rewarded financially through variable compensation. Variable compensation is usually based on a mix of financial and non-financial objectives linked to Aegon's long-term corporate strategy, as well as individual goals. Our aim is to ensure that we don't create a culture of entitlement within the company, inadvertently encourage 'pay for non-performance' or encourage excessive risk taking. The benefits of working at Aegon extend beyond simply financial reward. To ensure this is the case, we make sure targets are in line with our overall risk management objectives, particularly for those staff involved in managing risk on behalf of the company. Following the financial crisis, specific legislation was introduced for the financial sector, which caps the allocation and pay-out of variable compensation, and defers payment for senior staff. Under certain circumstances, the company can also claw-back personal incentive payments, especially if there is subsequent evidence of a substantial failure in risk management or a significant deterioration in the company's performance. The benefits of working at Aegon extend beyond simply financial reward. They include the opportunity to make things happen, working together with fun and interesting people, development opportunities that suit your way of learning or new career opportunities close to home or further away, recognition for team and individual results, and much more. 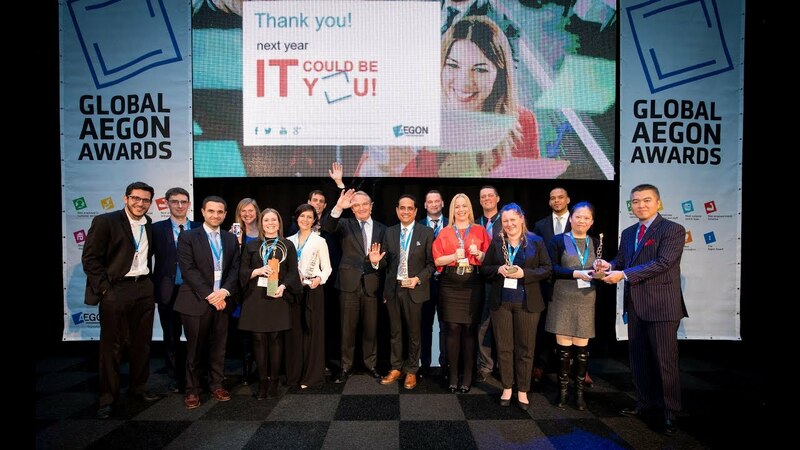 Each year, we hold the Global Aegon Awards. The outstanding work of employees and teams from around the world are recognized in one of seven categories. Watch the video above to learn more!